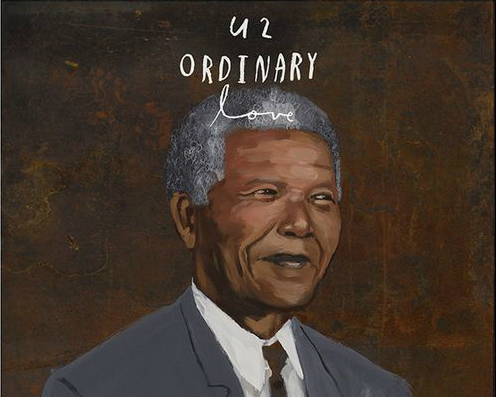 Ordinary Love, the song U2 wrote for the new Nelson Mandela biopic, will be released as a 10-inch single for Record Store Day on Nov. 29. It will be backed by a second new song, Breathe. The band announced the limited-edition release on its website Wednesday. According to the group's website, the band wrote Ordinary Love at the request of Mandela: Long Walk to Freedom producer Harvey Weinstein. Part of the song is featured in a recently released trailer for the film. Breathe, the single's B-side, also has a Mandela connection, according to the site. Artwork for the Ordinary Love record sleeve was designed by Irish artist and illustrator Oliver Jeffers, who also has directed a lyric video for Ordinary Love that will be posted in November. U2 has been in the studio recently working on an album the band hopes to release in 2014.